The Altered Page: 500,000 Thank Yous! How do I wrap my head around the adventure of a lifetime? And how do I even begin to express my thanks to each and every one of you? Last week the counter on my blog passed 500,000. Half a million hits. I don't even know how to integrate that number. It truly boggles my mind. The Altered Page has become all that I dared hope it would. And more. All of you -- your visits, your comments, your emails, your blogs, and your support -- have become as important to me as my paint. I sometimes wonder what my life in art would be like today without all that the Internet has offered. It has provided me with a community, an education, a forum, and an outlet. It has offered me opportunities to share and sell my art. It has given me a voice. It has opened doors which I have happily and eagerly walked through. I am a broken record when I say that I would not be the artist I am today without my blog. And without all of you! Those of you who know me, know how focused and single-minded I can be when I have a goal that I am passionate about. And I have worked very hard to create the world of The Altered Page. But I can honestly say that every bit of effort and time that I have dedicated to this has been more than worth it. And I am beyond excited thinking about the ideas I have for future projects and all the amazing experiences that have yet to unfold. 2012 has been and continues to be a dream year for me. It has been a year of firsts, some of which have yet to even be announced. These have included my first book and my first set of workshop DVDs. And as a small token of thanks to you, I would like to offer you a gift. In blog-speak that translates to a giveaway. To be eligible, all you need to do is leave a comment to this post AND make sure that I have a way of contacting you -- Blogger often doesn't automatically post the emails of commenters. Comments will be closed at the end of day on Monday, July 9th. Good luck to everybody and thank you all from the bottom of my heart. I'm sure every one would agree Seth its really 'thank YOU'! Congratulations on all your triumphs! With many more to come i hope. Your giveaway is beyond generous! Please count me in! You are quite the guy-been following for quite awhile now and it's become a way to know what's going on in lot's of places, plus your own art is really, really nice. Here's to a million!!!!! Love your blog! And the personal touch that goes with it. And... I can't think of a bundle I would rather win! congratulations on all the good things that have come your way. you deserve it. i have learned so much from you, and i always feel that if i have a question, you will help me figure out an answer. thank you seth, and congrats again. Congratulations on hitting half a million and thanks for all your wonderful projects! What a wonderful achievement - 500,000 - a testament to your talent and a lot of hard work. I have come across so many interesting artists, many of them in my new country, Australia. I think it's the sharing quality of your blog that makes it so special. congratulations & thank you for being so generous. Seth - Congrats on such a significant milestone! That old saying, "If you build it, they (we) will come." is so true! Wishing you continued success. Seth----goes to show that taking your boat to the horizon doesn't mean you'll fall off! Have a blast, then off to a new adventure! 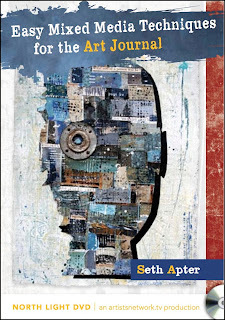 Seth, I have admired your work since I bought a copy of The Pulse many many years ago. I will never forget that you emailed and told me that it only consisted of text, just to make sure that I would not be disappointed. I loved it and still love reading it. I recently bought a copy of your new book. Perfect! And I will be buying the DVD's! Can't wait! Thanx for all that you do. Like you, I find it amazing that you have had that many hits....but you make it easy for them to come and stay a while! Congratulations and may you double this number in no time. Wow.. 500,000! That is a mind "bloggeler". You definitely have touched on the pulse, Seth. Thank you for your generous offer. congrats! you know that this is more than a blog to most of us, it is a touch stone for our little art community... or rather your numbers say it is a BIG community and growing!! Congratulations on your 500,000. I'm not surprised though, you are truly inspiring. Oh what a wonderful bundle!!! Seth, thank YOU for all you do for the blog world. You deserve recognition for all you put into it. Congrats on your 500,000! It would seem that obsession is more than its own reward. Congratulations! Blessings abound. Both on the giver and the receiver. Thank YOU! Glad to be one of the first post 500,000 commenters! Thanks for inviting us all on this marvelous ride with you! You so deserve all the wondrous things that have happened this year. Couldn't happen to a nicer guy! Oh how I would love to win!!! :) thanks for the chance! btw, I know that SO many people read blogs in a reader, and I don't think that counts on your blogger feed...so I'll bet the number is closer to a million. I'm so happy for all your success! I have already been lucky enough to win something on your blog so you don't have to include me in the giveaway, but I wanted you to know that thru your blog I have discovered so many wonderful mixed media artists that have had an influence on my work. Congratulations on your well deserved success! Your work is such an inspiration. You actually make the things I see in my head. And Thanks for the chance to win a great share = Cheers! Well, you know, Seth, if you weren't giving us a reason to stop by here we wouldn't be hittin' on ya. Wow, congratulations, Seth! Well earned. We (artists) appreciate YOU and the opportunities you have provided us. Thank you. And thank you for the giveaway opportunity!!! That's fantastic, Seth. Many happy half a million. I think you're doing so much good for mixed media art, and bringing so many wonderful people together. Thank you for creating The Altered Page. Well, well, too many email accounts. "Unknown" is me. Congratulations and thank you, Seth!!! You're right Seth, you have worked very hard and I am so happy to see it pay off in such a big way for you. If I win, I will donate the book to our local library, which I have been secretly building up the mixed media section for the past 10 years (there was none when I first started going there!) and I'll keep the dvds. Discovered the Altered Page not too long ago and am loving it! Keep up the great work! Thanks for the great giveaway! Congratulations on your having more than a half a million (yes, MILLION) visits to your blog! It is no wonder to me, your blog and work are first class. Congratulations. I have your book, but I'd love the DVD's. I'd be glad to donate a copy of the book to the Library, as well. Thank you for a chance to win. Although I came a little late to the party that is "The Altered Page," clearly it is a worthwhile endeavor since I and so many have decided to hang out. You're a fabulous host and HUGE CONGRATULATIONS!! on this awesome, awesome milestone. What an awesome blog you have and the time you spend on it is noticeable. Thank you for sharing and a chance for that great giveaway. You are so busy! Send me some of your energy! Or the giveaway will work, lol. Seth, I have to agree with you... the blog world has opened up so many opportunities and online friendships for you.. and for me too. Your blog is always so full of information, creativity, connections, and generosity. 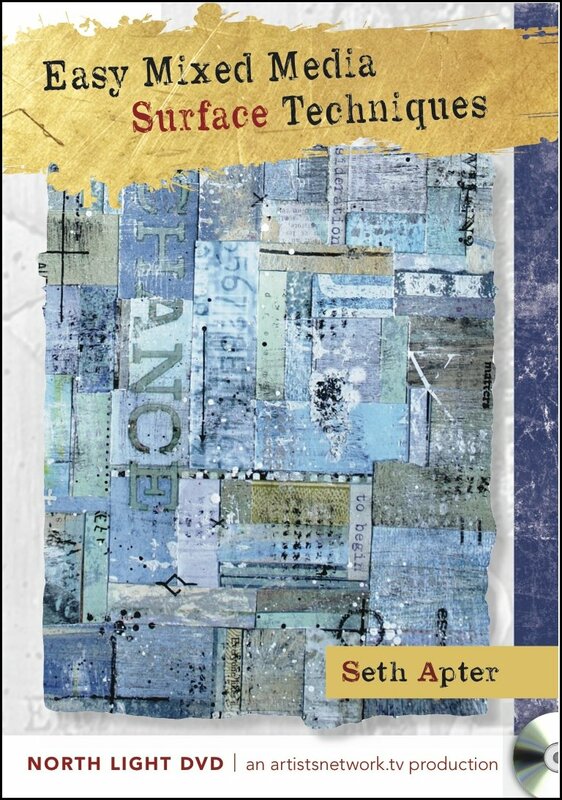 Thanks for your blog, Seth, and thanks for a chance to win a "to-die-for" giveaway. Count me in for your giveaway Seth! I agree that the internet is an enormous benefit to any artists. I have learned, shared and been awed by the incredible amount of talent I have access to via the web :). Thank you for all your hard work in creating this space for us to gather and to visit with one another. You have opened doors and shown me artists - great discoveries! - all thanks to "The Altered Page"
Congratulations to you on your success - I'm sure there will be many more firsts! Thanks for the giveaway opportunity. I appreciate being able to meet new artists through your blog. 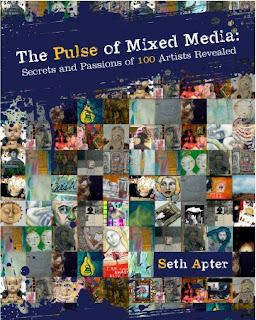 No surprise that you've had half a million hits...this is the standard for mixed media art...a zillion thanks for making your blog available to those of us who aspire to reaching our goals. All praise for you is well deserved. I've had all kinds of internet and computer problems, so I even missed out on seeing I made the Still Life segment on Sunday. Had I been able to, I would have touted it, as well as your 500,000 hits. I agree that you are the best of the best. I've been making mixed media for nearly nine years, and I am such a novice compared to you and what you have managed to accomplish over these past few years. I'm really impressed. You are my hero!! As a result, I would love to win your giveaway. It's probably the only way I will ever be able to meet you and put my hands on these wonderful tutorials. All I can say is, it would be a thrill to own these DVDs and the book. (Please contact me via the cox account WHEN I win [grin]). Congratulations Seth!! You give so much to everyone. Thanks for all you do! Seth, I am overjoyed at your success. I enjoyed meeting you in Bellevue, WA a couple months ago. I would love to own your DVD's. I got a taste of your process when you did a background demo and was pleasantly surprised to see you use many of the same techniques I use. Good luck in the future! So happy that all of your focused-isms and single-mindedness is taking you where you want to go! Seth, And THANK YOU. I'm sure we all wonder what art life would be without your Blog....no surprise at the number of fans you have generated.Your blog is personal, creative and entertaining; not to mention the fact that it is a place every artist needs to stop by to gain info on what is spinning in the mixed media world. Congrats! I would be estactic to win your generous prize. I love your work and your blog. Haven't been able to get your book yet so would love to win a copy. Keep at it! 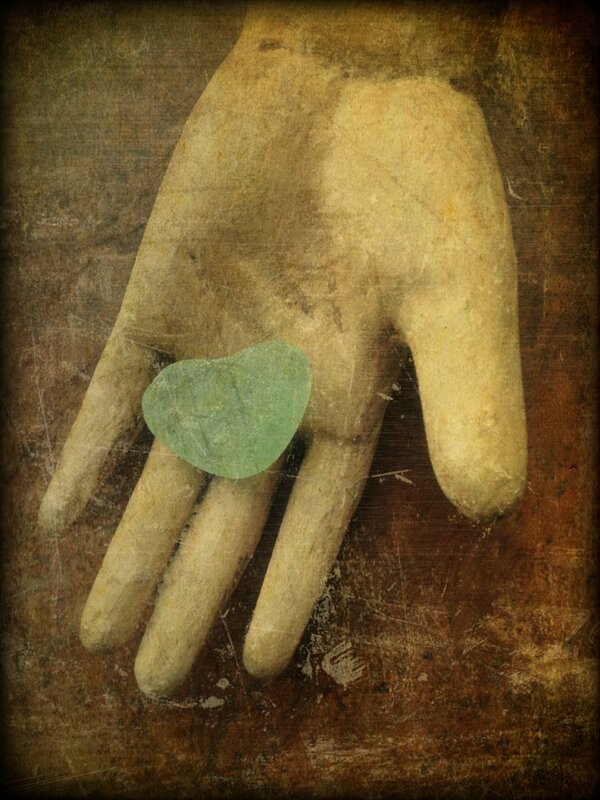 I just found your blog through the Creative Mixed Media newsletter. 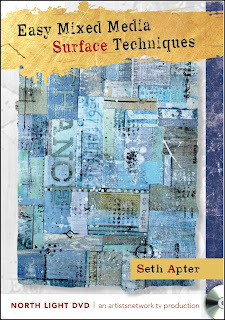 I also just watched the Easy Mixed Media Surface Treatments video...and LOVED the preview!! I'm just getting started with mixed media and just the 1+ minute of the preview was loaded with ideas. THANK YOU !! Off to watch the other preview. I'll be spending time reading the rest of your blog. I should proof read my comments before posting. I meant 10+ minutes of the video...sorry. You're welcome! and thank you too for a very fun blog. I would love a chance to win one of your dvds (I already own a cop of the book). Thanks for the chance to win. Seth, you are a Force! A million thank you's for all that you do! Congrats!! And may you have at least that many more!! Congratulations, Seth! Best wishes for continued success. hi seth! i have previewed your DVD and would LOVE, love, love to be the recipient of your giveaway. Greatest giveaway ever! Congrats Seth! What amazing achievements, Seth! Absolutely incredible ... and you inspire us all as you find new avenues for creativity on the web. Wow Seth, Congratulations. Your dedication and believe in community is wonderful and I want to say thank you. I own your lovely book, and continue to enjoy it. I have no doubt that the DVD's are just as wonderful. Thanks for the generous giveaway, whom every wins it will be over the moon delighted! Seth you have given us all so much I cant imagine life with out your wonderful blog and your giving nature.Hope to see you again next year when I come to New york again that was the highlight of my trip. Seth, Congratulations on your success! please include me for your fabulous drawings. Yikes! A half million hits! Now that is a lot. And very well deserved. I have really loved looking at your blog and seeing all the wonderfully creative things you do. Keep up the great work and congratulations. Congrats! :D I've enjoyed your blog so much! Congrats to you dear Seth. I have never met you personally but you seem like such a nice person - a gentle soul. I'm sure other people "feel" it through your words. Thanks for the opportunity to win such an awesome giveaway. Should I be one of the lucky ones please contact me at bkisrael@gmail.com. Thanks so much! Congratulations on having such a wonderful year! It certainly seems like you have worked very hard to get here and you deserve all the happiness coming your way. Seth, Do you ever sleep? Man you have worked super hard for the half million! I really appreciate getting to know all the artists featured in your book! It makes me think that I could do that too! I'd love to be a winner - your DVD's are really enticing. Seth, huge congratulations! Half a million hits - just shows how much you are loved and appreciated. Your give-away is very generous and certainly one I'm sure everyone would love to win, including me, so thank you for the opportunity, and thank you for the wonderful blog. Congratulations Seth that's a fantastic milestone. I love that you are living your dreams and that you generously share your experiences and knowledge. In doing so you provide inspiration for those who follow your blog.. Gratitude is the path to true and utter joy, something I'm very much working on these days, and your post is such a beautiful and inspiring example of it! Congratulations and a huge thank you for connecting us all! You deserve every bit of your success, so enjoy, enjoy, enjoy!!! You deserve every success. Your blog, and your commitment to a true mixed media community represents the very best of the internet. Thank you for introducing me to so many wonderful artists and here's to the next 500,000! Your book is amazing, so much inspiration just like the blog. Every visit here, sparks a new idea and makes me rush to my studio to try something new. I wish your DVDs as much sucess as your book is having, well deserved. Thank you for all your hard work and passion that you put into the blog, the love you have for your work and your blog shine through in each post. Please put my name in the hat, I'd love a chance to win. That's a wonderful accomplishment, Seth. I am amazed by your dedication, your fresh approach, and your constantly updated ideas. Half a million visitors have been delighted, surprised, and inspired--that's quite an accomplishment. Please drop my name into the hat. Congratulations Seth, if anyone deserves all this wonderful stuff, its you. What an incredible journey you're on and thank you for encouraging others to pursue their own. You truly are an inspiration. WOW Seth, I'm impressed! But, I'm not surprised. I'm the one that needs to thank you. I visit The Altered Page each day to see your new creations, new projects, and new collaborations. You have been my inspiration on many levels...words don't do my gratitude justice. So, a big Thank You. You deserve the best. Congratulations Seth! And thank you for the inspiration. Holy smokes! What an incredible giveaway :) Your are such an inspiration- thank you for all you inspire! Congrats Seth on passing the 1/2 mil mark! You deserve all the good things that come your way, for all the good you have given all of us! Thanks for the chance to win a fantastic bundle. Congrats Seth on passing the 1/2 mil mark! You deserve all the good that comes your way for all the wonderful goodness you have given us. Thanks for the chance to win a fabulous bundle. Seth, I have followed you for quite a bit of time and wish you continued success. I would LOVE to win any of the prizes! It sounds like your blog has gone viral! Fantastic! Now that I'm incorporating mixed media into what I do again; I also think of you and all the amazing artwork you post...It is very inspirational. Thank you and congrats! Many many congratulations for your well deserved success. That's a wonderful giveaway too! Having read your blog from nearly the beginning, I am aware of all the hard work you have invested in it and your artwork. You deserve all the success and I wish you much more. Having just started a blog, I can appreciate all your hard work even more. Thanks, and I am looking forward to what comes next! Congratulations and thank you for having a wonderful, meaningful giveaway for your fans! kudos for your accomplishments, seth. i am new to your blog but have been so inspired by both that i included a blurb on my blog. Wow! That's a BIG number :) I enjoy getting your emails and always feel inspired to create. Congratulations and blessings to you. What a great and well deserved accomplishment. And what a great soul for wanting to share! well one in half a million doesn't seem like good odds - but - would love to win. Congratulations on all your well deserved success. Congratulations Seth!!! What a wonderful journey you are on and I want to THANK YOU for sharing it with us. You are a generous soul and deserve it. Congratulations and well done Seth! You are a star Seth.... even in Australia. Congratulations! It just goes to show, hard work pays off. A generous giveaway that any of your followers would be delighted with. Good luck one and all. You deserve it, for all your hard work posting your blog and coming up with questions. You have earned each one of those 500,000 hits. I don't know too many artists that are as dedicated and have such an online presence. There are a few, but just a few. Keep living your dream! Hi. I just discovered your blog and signed up last week but I'm glad I could help push you over the 500,000 mark. I look forward to following your posts. And I'd LOVE to win copies of your books and DVDs. Thanks. I have enjoyed your book and recommended it to my VISUAL JOURNALS group. I am sure I would learn a lot by viewing your DVDs. Yay, Seth! I'm so happy for you. You deserve every bit of success you have and have yet to receive! Congratulations What a wonderful givaway !!!! Congrats and as the others have said, thanks for the giveaway! Thank you from the bottom our hearts Seth....you have welcomed us all, created a wonderful community of like minded people. 2012, a year of firsts...I like that! Wishing you much success and happiness in what you do. This bundle looks so exciting. I have fingers and toes crossed! Not that you're going to see this comment buried at the bottom of ...what?...a million other comments? High Five, my Man. You da' best. Congrats on the magic number of 500,000. Wow, that is incredible! May 2012 continue to be a trajectory for your ideas and talent. Congrats on a great year-here's to many more! Congratulations on your book and 50,000 hits! You continue to inspire and encourage us, so congratulations on your blog success, and the book publication! thanks for all you do! Congratulations, and thank you for all the inspiration. You know Seth all the thanks goes to you, plane and simple. Thanks for eveything and the ride.....YOU ROCK!!!!! Congratulations! WOW! You are changing the world with your honesty, your insight and your art. Thank you for all that you have put out there for all of us!! Good times Seth! May the hits keep on coming...best to you and yours. Congratulations Seth! There's so much inspiration on these pages! Your workshops look so inviting so know your book will be wonderful.. Hope I'm your winner!!!!!!! Having been out of town, I am very late to this party, but please,,,if I may,,,be included. Thanks for this wonderful and generous opportunity! Congratulations, Seth! What exciting news. I love your book and the DVDs look so interesting. wow, what a number, I dont think I can get a handle on it either. congratulations on a blog well done. A heartfelt congratulations on all you have acheived Seth! And thank you for your support of your fellow artists! Seth- Congrats on that milestone-wow! What an exciting giveaway! Thanks for your support- it is an honor for me to have a piece in your book. Wow! That is one huge number and it will only be getting bigger!!! It was such a joy to read your post today because your joy was jumping off the screen. Wonderfully infectious way to start my day! Congratulations! What fun to give back to all of your readers...Thank you! Thanks for the chance to win the giveaway. Thanks even more...just for being. THE THANKS GO TO YOU, Seth! Thank you for continuing to bring together such a wonderful community of artists, for continually inspiring and engaging so much potentiality, for being the warm and compassionate and caring soul that you are. I'd be glad to drop my name into that hat! 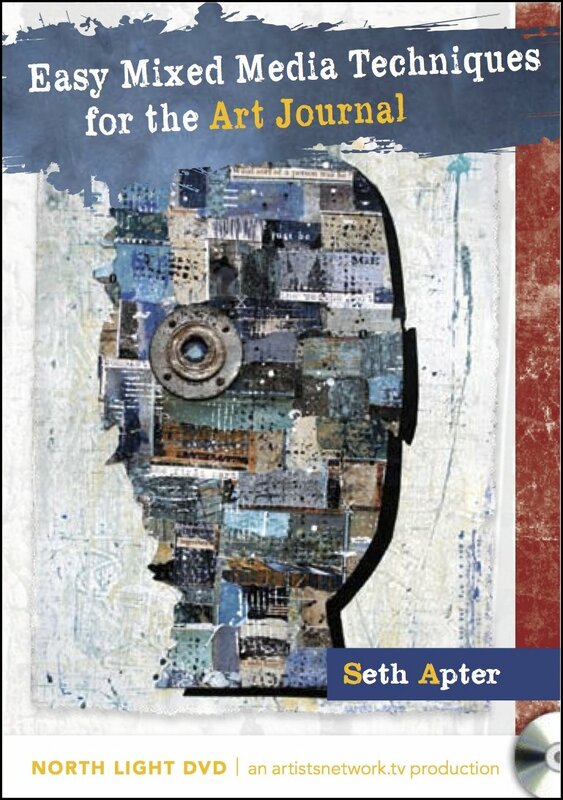 Congratulations, Seth, and thanks for what you share with us as well as a chance to win some great books! I am new to the Altered Page but I find it so interesting that I will be hanging around! Congrats Seth. Your blog is so unique. I follow constantly. Thanks for taking me to such unusual places. I have a feeling I am going to win. for coming into our lives, Seth. Almost 200 comments! You go! Life can be so amazing sometimes filled with twists and turns, so pleased your path has taken you somewhere where you like to be :) Congrats on your half million hits. What a great awe inspiring achievment! And I can see how you reached half a million hits when you can achieve 173 comments to one posting- in 4 days time! It's really a privilege to be in this inspiring community of mixed media artists. Seth, you deserve all of the wonderful things coming your way as you have always been so generous in giving a hand up to those of us who are just beginning the journey. Half a million thank you's to you! I must be the 500,000th comment ;) Here's to you Seth! I am SO thrilled that I found your blog way back when. You have made the online community come alive for me! Being a blogger only since this year, I have only begun to catch up with all the wonderful blogs out there, and yours is way up at the top! Thank you for sharing! I am also excited for all you have created this year, the books, the dvds, the workshops, the collaborations, the interviews, the art shows in galleries, the book talks all over the country, my goodness, your list just seems endless. I know I am leaving a lot out. I also feel that my blog and all the blogger friends I have made have made me the artist I am today. No doubt about it. It's an awesome thing to have and to continue experienc(ing). Bravo to you, kudos to you, and I just see more and more years ahead of greater numbers and more exciting endeavors and creations pouring forth from your font! Your cup runnith over with wonderful ART and goodness! I am happy to have become one of your multitudes of blog friends. Looks like I made just in time (although we already have Tuesday). Time difference can be a good thing. look at all this love! congrats seth! best of luck to you. Thanks for the chance to win what looks like a fantastic bundle! Hi Seth -- thanks so much for sharing your wonderful art and talents with us! I love your work, and am thrilled with your giveaway - that's really generous and kind. :) Take care and have a great day! I am going to be in you class next week at Create. I am looking forward to meeting you. I have been very inspired by your blog. Congratulations on your much deserved success. Congrats and thanks for the chance to win your goodies. I look forward to following along in the next 500,000. All I did was blink and there were several posts I missed here! Truly, summer is flying by fast! I already won your book 'The Pulse' From Trudi of 'Two Dresses' but I would absolutely LUVVV to win one of your DVD's in the collage textures. I don't know when your giveaway date ends, so I hope I am still allowed a chance. But, you know, it's not really about winning anything (I seem to be on a roll lately!) it is the comradeship of kindred mixed media artists is what it's all about. The more the merrier! Cheers! For a fabulous year!